G’morning! (or maybe afternoon) fellow nail polish fiends! It’s just gone daybreak and I’m up stupid-early to get this China Glaze OMG! Flashback 2018 collection to pop up on your side of the screen! 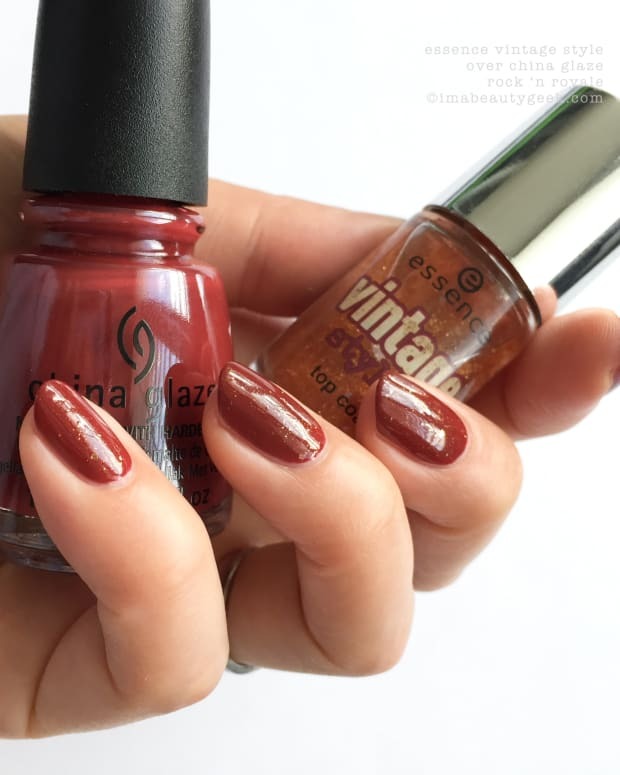 China Glaze OMG – China Glaze OMG Flashback 2018 (above). Flashback? Yep, to 2008. That’s 10 solid years ago. Where was I in 2008? Workin’, renting in the T.Dot, and trying to save a nickel here ‘n&apos; there. Nail polish was such a treat and most of it came to me by way of Janine because she knew I had a thing for polish and no dollas to buy it. 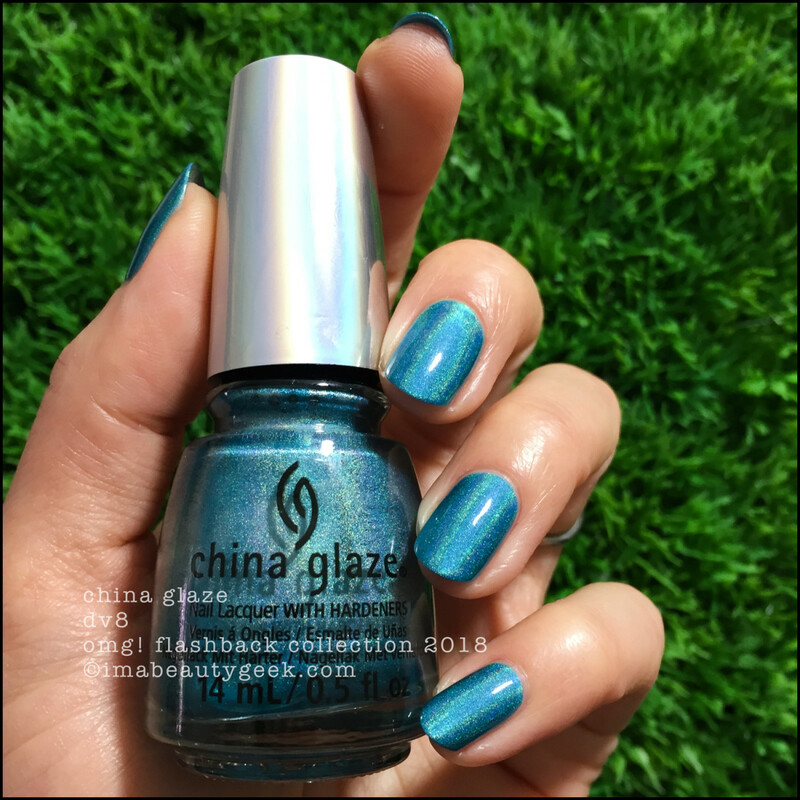 China Glaze TTYL – China Glaze OMG Flashback 2018 (above). Did I ever have the original 12-bottle OMG collection? Nope, not a single shade. China Glaze was pretty hard to find here in Toronto unless you were a professional. And buying it online? Uh, that wasn’t even a thing. Besides, I was an OPI girl, and OPI had the DS series that had already been out for a couple of years. 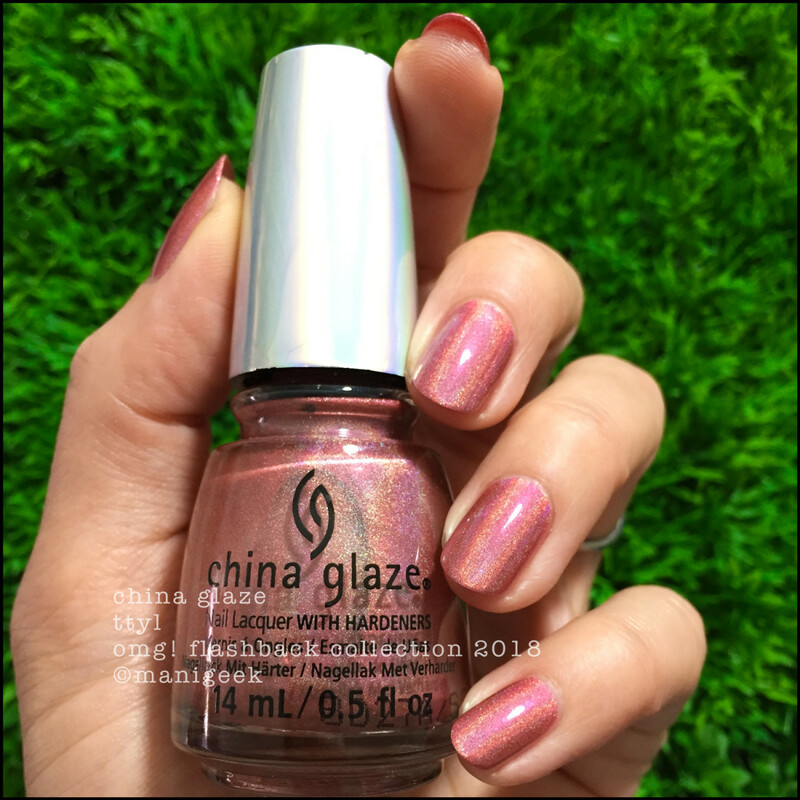 China Glaze BFF – China Glaze OMG Flashback 2018 (above). Today I’m Manigeek. Back then, I wasn’t. Today, I have nail nerd ninjas who sent me a gift so I could get myself a little sumthin’ sumthin’. What did I choose? I chose to Flashback. Why? Why not? It’s not that often I get to buy full collections that I actually want. Would I have bought this without them? Maybe, if I’d found it on sale in a few months, and even then I might only have bought one or two, or maybe the mini set. 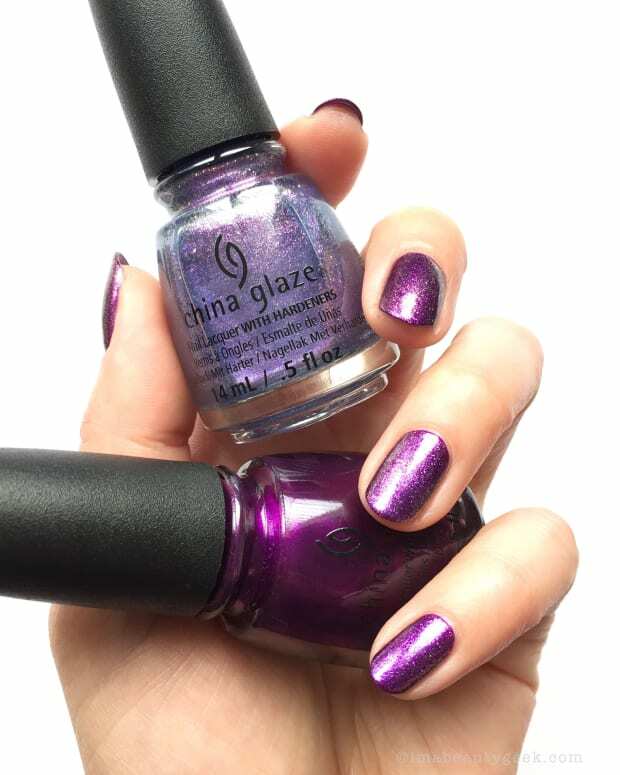 China Glaze 2NITE – China Glaze OMG Flashback 2018 (above). Know what else? This stuff dries fast all by itself, even without the top coat. I’ve been hearing rumours that it’s poppin’ and peelin’ within a couple days of wear, and I’m guessing there’s something in there that’s speed-drying the polish and shrinking it. I don’t have a solution for that, but if that’s happening to you, these OMG Flashback shades go on so fast (and dry so fast) that it’s really not much of an effort to simply remove and replace. China Glaze DV8 – China Glaze OMG Flashback 2018 (above). If I didn’t have to swatch constantly, I’m pretty sure I’d be wearing these shades one after another after another all summer long. They’re not your average linear holos. They’re better. They’re milled crazy-fine, so they&apos;ve got flash, flare, and flame. Indoors you get that glowy, cool, silvery look that most linears have, but you also get a most beautiful flash of a rainbow-y shift that you don’t usually get inside. That’s what made me fall in love with my new OMGs. I like ‘em outside, but I really, really like ‘em inside – after all, that’s where I do most of my livin’. Either way, these 6 shades are beauty. If you haven’t picked them up, you might want to (I spotted the minis at my local Winners yesterday). Or at the very least, pick the one that appeals to you the most. Trust me, you’ll be glad you did. manicures & photos karen falcon (she loves her ninjas! ).